House Speaker Harrell has accused Gov. Haley of lying about the status of an ethics probe into her activities while serving as a SC House member. The House Ethics Committee voted unanimously Wednesday to reopen its inquiry into whether Gov. 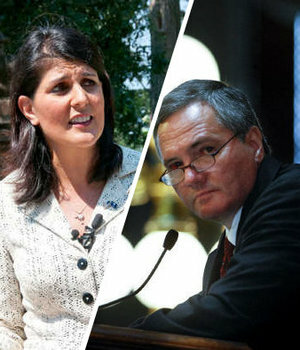 Nikki Haley illegally lobbied while a S.C. House member, exploiting her public office for her personal gain and to benefit her employers.